The Huh? : Borderlands The Pre-Sequel is Real and Slated for Late 2014!!! Borderlands The Pre-Sequel is Real and Slated for Late 2014!!! For the last couple of days I've read and blogged about the rumored Borderlands pre-sequel, a game that was to take place between the first and second game. Not only is it real, but it also will be an in between game in length along with a ton of new stuff. Gearbox Software and 2K Australia are making it and quite soon. It will definitely take place on the moon of Pandora where Pre-villain Jack needs help to uncrash the Hyperion space station. In Borderlands 2 we heard Handsome Jack telling everyone how he was the hero of the story, and this will be why he thinks that is true. With the Moon base location we'll be getting a bunch of game-changing mechanics involving oxygen. The oxygen implementation will not only for breathing, but it'll allow for much more in the way of mobility options and even offensive capabilities such as double-jumping, ground pound melee-like attacks/stuns, and air boosts that act like small flight bursts. This will include a new resource slot that works like a grande mod for 02 (or Oz Pack), and alters the effects of the pack you are using. The weapons variety in loot will be increased by the addition of laser weapons and cryo guns. More loot is always good. 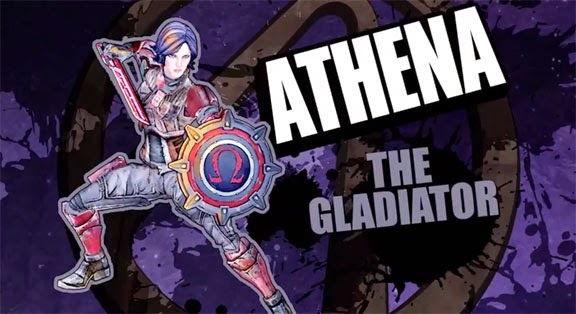 - Athena, the Gladiator: Uses her Kinetic Aspis, which is a shield that can absorb incoming damage, then convert it back into energy to use against enemies. Athena made her debut in The Secret Armory of General Knoxx DLC for the first Borderlands game. 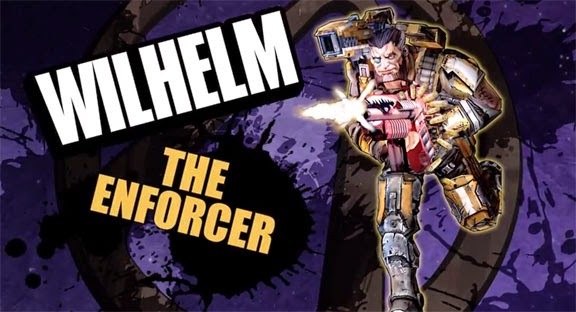 - Wilhelm, the Enforcer: Wilhelm was previously seen in Borderlands 2 as one of the first deadly bosses in the game. 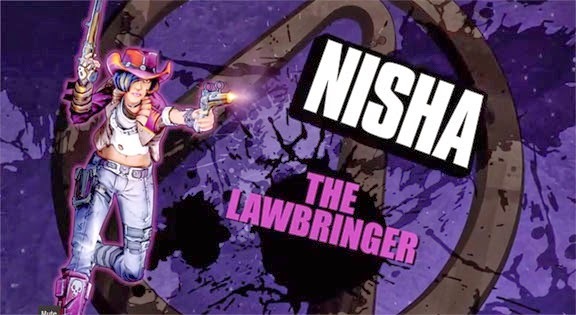 - Nisha, the Lawbringer: The sheriff of Lynchwood from Borderlands 2, Nisha will be dealing out her own brand of justice, which we'll discuss further in the coming months. 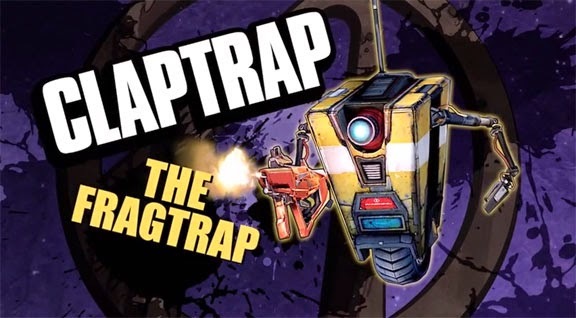 - Claptrap, the Fragtrap: Wait - Claptrap? The goofy robot companion from Borderlands 2, now playable for the first time? Fragtrap is his character class? Well, you can play him too!